A small laminated birch tray perfect for carrying a cup of tea and a biscuit (or two!). 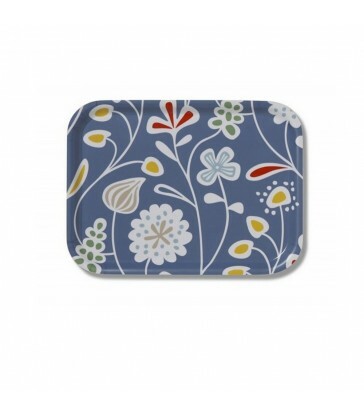 The tray has a design of flowers in blue o the top with a plain birch underside. 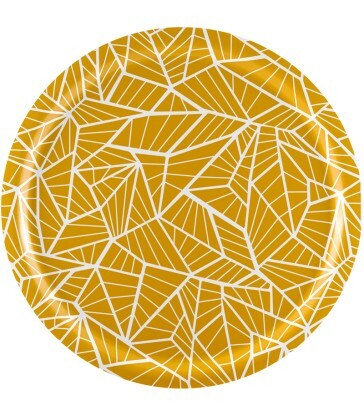 Pair it with some of our paper napkins for a lovely house warming gift or hostess present. A small sandwich tray. 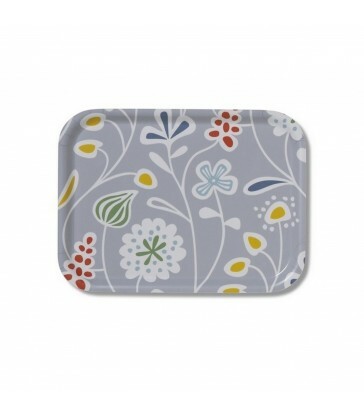 This laminated birch tray has a lovely modern floral design on it. 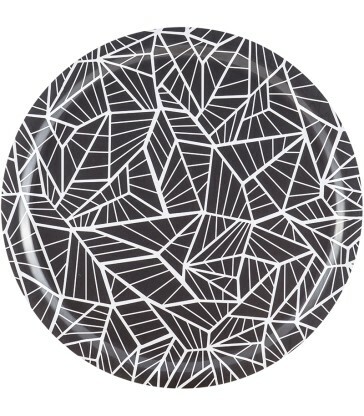 Scandinavian designs for your home kitchen. 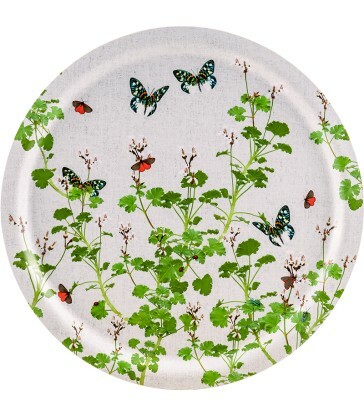 These little trays make great housewarming gifts or as birthday gifts when paired with matching paper napkins. 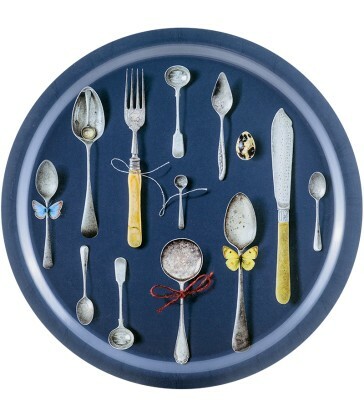 Blue Bird Tray. This rectangular tray is made from laminated birch timber making it a durable addition to your kitchen. It's neat size is perfect for use as a sandwich tray. 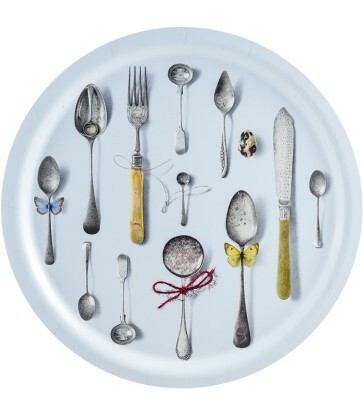 The Swedish save on the washing up and just eat straight from the tray. Orange graphic bird tray. A small rectangular tray made from laminated birch timber. A bright and colourful bird design in orange, yellow and grey colour tones. The perfect size for your cup of tea and some tasty treats.